Maxon Motor Australia is a principal sponsor of the Micycle project at the University of Adelaide. The Micycle project involves using variable speed DC motors to design and build a self-balancing electric motor unicycle (SBU). 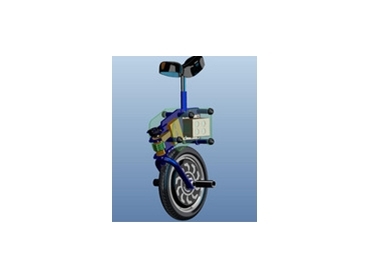 A variable speed DC motor-driven SBU balances itself by detecting the rate of fall (forward or backwards) and adjusts the motor speed accordingly to ensure that the wheel is always positioned underneath the rider. If the rider leans forward, the motor speeds up to compensate. Similarly, if the rider leans back, the variable speed motor and the unicycle speed is reduced. Electric motor SBUs use a gyroscope and accelerometer to measure the rate of rotation and position of the device relative to the ground. The signal from the sensors is fed into a microcontroller, which compares the input (sensors) with the output (speed of motor) and responds by driving a control signal to the motor controller to control the motor speed.